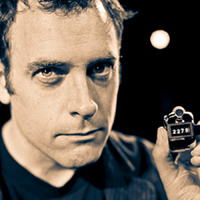 Fringe superstar Ryan Gladstone attempts to tell EVERY STORY EVER TOLD in one hour! I have been a fan of Ryan’s since he first started coming here with Monster Theatre many moons ago. He has matured into a family man and this show is a relating of variety of fairy tales and legends, in Ryan’s engaging, humorous style. The Rocky movies are also a reoccurring theme. There is nothing serious here, other than the obvious love he has for his children; the reason for his choice of subject matter this go round. I can only say you will enjoy this and leave with a feel good glow and a softer outlook of the world. Come early and experience the wonderful food the King’s Head is known for with the show for a complete night out. Well done!